A really busy four days at Arab health. A great position in hall 7, as part of the Medilink group, ensured a steady flow of quality customers. 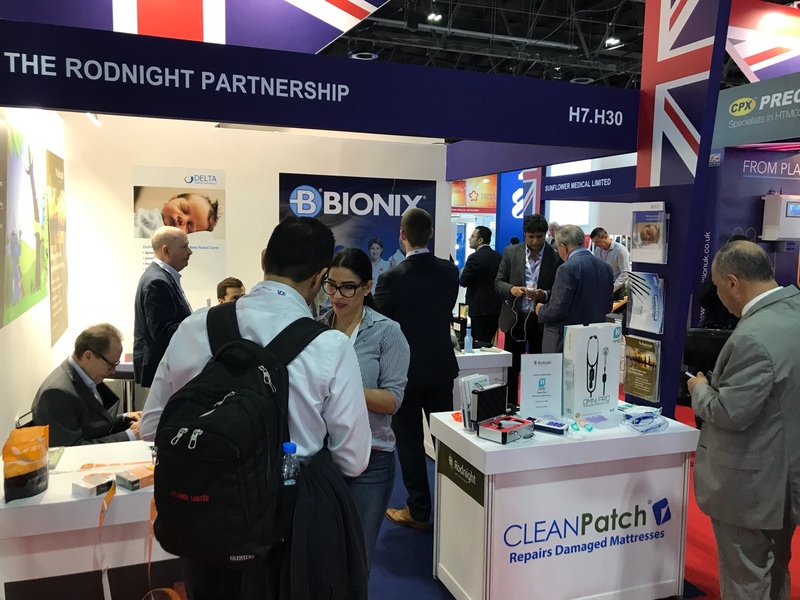 All of our partners, CleanPatch, Bionix, Tournistrip, Omni Pro and Prima Medical were successful in signing up new distributors. Further afield, in hall 1, our long standing client, Firefly Global, enjoyed an equally successful week, with many meetings with existing customers, and new distributors appointed in Jordan, Qatar and Egypt. Now the real work starts, with the follow up of all the leads and business discussions. We will be back in the region towards the end of March.